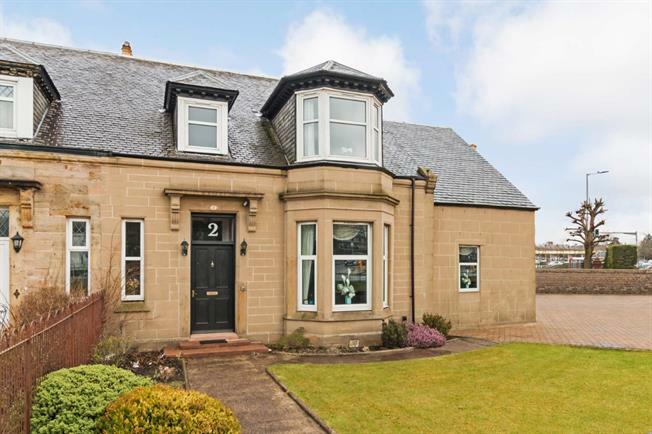 5 Bedroom Detached Bungalow For Sale in Ayr for Offers Over £280,000. Extremely impressive 5 bed extended semi-detached blonde sandstone villa located in a sought after residential area of Ayr & offering extensive accommodation over two levels extending to formal lounge (additional bedroom) with original features & double glazed bay windows, family room leading on to the large dining kitchen with fitted units, integrated appliances & doorway to the back garden, family bathroom with 4 piece suite & 5 bedrooms! A wonderful feature of this stunning property is the granny flat to the rear with independent lounge, kitchenette, shower room & bedroom! Private grounds surround the property with off-street parking for several vehicles to the front & side. EER E.